Equipped with real-time and time-lapse imagery, the cameras piggyback on an existing, high-speed network that detects earthquakes, Kent told the annual meeting of the Seismological Society of America in Reno. Last summer, a half-dozen of the hazard cameras at Tahoe were credited with the discovery of six fires and provided early intelligence on more than 25, Kent said. "The old style of firefighting is like storming the beach at Normandy, but if you can get on a fire early, with special tools, then it becomes more like a special forces situation," Kent said. "Firefighting is going to become much more tactical." He said more cameras are being installed across much of northern Nevada and close to the Utah border in conjunction with the U.S. Bureau of Land Management. He's currently working with firefighters in Oregon, Idaho and Montana to develop similar networks. Frank Vernon, a research geophysicist at the Scripps Institution of Oceanography at the University of California, San Diego, began developing the "virtual fire lookout towers" in 2002 when he and others built a large-scale, wireless network in Southern California. It now includes more than 64 fixed mountaintop cameras in 16 remote locations across San Diego, Riverside and Imperial counties. "Working with partners to provide this technology to the community is vitally important as extreme drought conditions, warmer weather and more frequent Santa Ana wind events have all contributed to increased wildfire activity and longer fire seasons each year in Southern California," Vernon said. 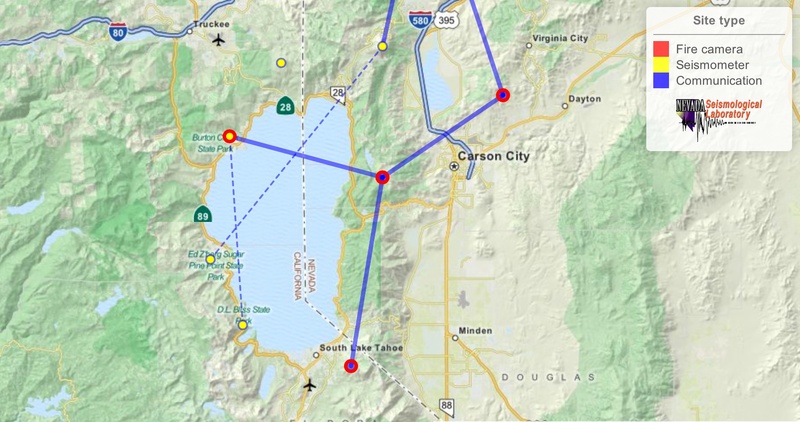 The multi-hazard function of the cameras is especially valuable to communities such as Lake Tahoe and Reno that border wildlands. "The big three for us are floods, fires and earthquakes," said Kyle West, safety and training manager in Reno. The city is located in Washoe County, where officials recently updated their hazard mitigation plan. Kent said officials hope to have more than 20 of the cameras up and operating by the end of this year. "The notion of fire cameras has been out there for 20 years. But they were mostly closed circuit, analogue systems with poor resolution," Kent said. The video feeds are available to state, local and federal firefighters and can be viewed by the public on the AlertTahoe Web site. University of Nevada, Reno scientists are working on technology to use "machine vision - to teach computers to spot the fires without humans," Kent said. "We're sort of crowd-sourcing lookout towers," he said. "Anybody in this room, if they are feeling anxious or just have a premonition, they can go onto AlertTahoe, right click on the camera pane and see the time lapse. We could have hundreds of people searching for fires at any one time - people who are just basically concerned." Kent said the video feeds help fire managers make more efficient decisions deploying resources during the early stages of attack after a lightning strike is reported. "In the old days, you would send a spotter plane at great expense, or you would guess and send too few or too many people," he said. 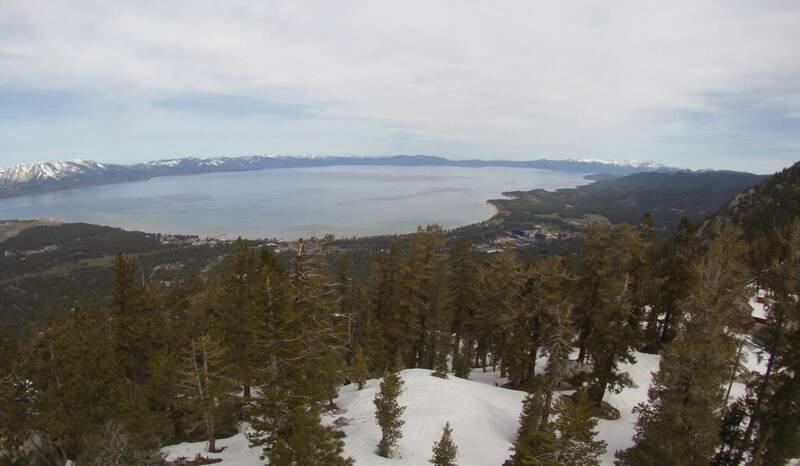 He said one of the Tahoe cameras picked up smoke after a storm last summer at a time most of the area crews had been sent off to fight fires in Montana, Idaho and Northern California. "They put a helicopter with a bucket on it and it was out after burning less than an acre," Kent said.